Thursday, January 8th, ArtOnWater Gallery is having an Open House…all afternoon, evening and into the night. Check out the new “studio gallery” concept, enjoy the ever-changing show of functional ceramics, and experience an extended version of their popular ChARTdonnay Thursday, from 2 to 9 p.m, 217 South Water Street. 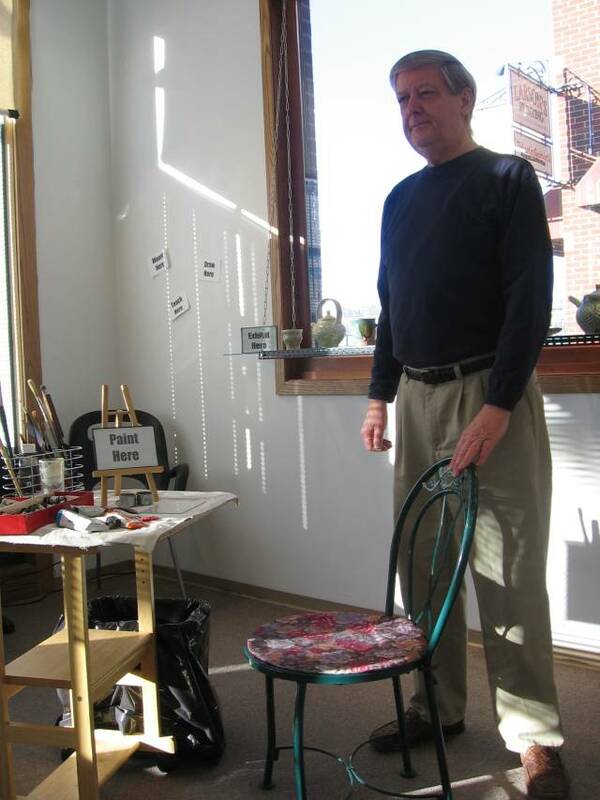 At 7 p.m., just over the Cannon River across the pedestrian bridge, is the Northfield Arts Guild’s gallery Opening Reception for the Fred Sommers show, 7 p.m., 304 Division Street. There’s Karaoke at Froggy Bottoms, 305 South Water Street and Mark Mraz is at the Tavern Lounge, riverside of the Historic Archer House Hotel, 212 Division Street. Friday, January 9th, there’s an Opening Reception for the Modernizing Melodrama show, Carleton College Art Gallery, 7 p.m. on the Carleton campus. There’s Karaoke at the Rueb-N-Stein, 503 Division Street, Chris Herringes at the Tavern Lounge, and the Roger Anderson Trio at The Contented Cow, 302B Division Street. Saturday, January 10th, it’s the Killer Hayseeds, the Grand Event Center, 316 Washington Street, 8:30 p.m., Karaoke, 9 p.m. at the Fieldhouse, 620 South Water Street (in River Park Mall), Last Known Whereabouts at The Contented Cow, and Matt Arthur and the Bratlanders at the Tavern Lounge. Sunday, January 11th, there’s the usual line-up of Politics and a Pint, Northern Roots Session, and Quiz Night at The Cow. So Baaaby, let’s head down(town) and check out some Art, Culture and Entertainment. It’s a great way to warm up the weekend.